The following op-ed was submitted by Douglas Bregman and Andreas Akaras. Mr. Bregman and Mr. Akaras are lawyers in the Bethesda-based law firm of Bregman, Berbert, Schwartz & Gilday. Mr. Akaras is also the founder of the Saint Andrew’s Freedom Forum. The views expressed are the authors’ own. A week ago last year, a small group of men, women and children gathered in the heart of our nation’s capital to voice their opposition to the policies and practices of the Republic of Turkey’s leader, President Recep Tayyip Erdogan. Joined together in peaceful protest were individuals with a variety of different backgrounds–Turkish, Iranian, Armenian and American among others — they even included a four-year-old boy with his mother, and a seven-year-old girl with her father. This was quintessential America, individuals with varying backgrounds coming together to exercise their right to peaceful assembly to speak truth to power. What happened instead was chilling. Without provocation, two dozen Turkish security officers and Turkish civilians rushed across a police cordon and violently attacked the protesters. The attackers, some wearing combat boots and carrying firearms, punched, kicked, and choked the men, women, and children who had the temerity to stand up for their beliefs. Mr. Erdogan seemingly ordered the attack shortly after his motorcade arrived at the residence of the Turkish ambassador. He then watched calmly and approvingly from a distance as the mayhem unfolded in the middle of Sheridan Circle. Men and women were left bruised and bloodied. A seven-year-old child was pushed to the ground and kicked. A police officer and a U.S. Secret Service agent, who were present in the hopes of preventing any violence, were injured. In total, nine people were hospitalized, some with severe injuries from which they are still recovering. Condemnation of the attack on the peaceful protesters was strong and virtually universal. The House of Representatives unanimously approved a resolution calling “for perpetrators to be brought to justice and measures to be taken to prevent similar incidents in the future.” Not long after, 19 people, including 15 identified as Turkish security officers, were indicted by a grand jury. Two U.S. citizens who participated in the attack have plead guilty to felony assault and will serve one year in prison. But justice has not been served with respect to Mr. Erdogan and his Turkish security officers. 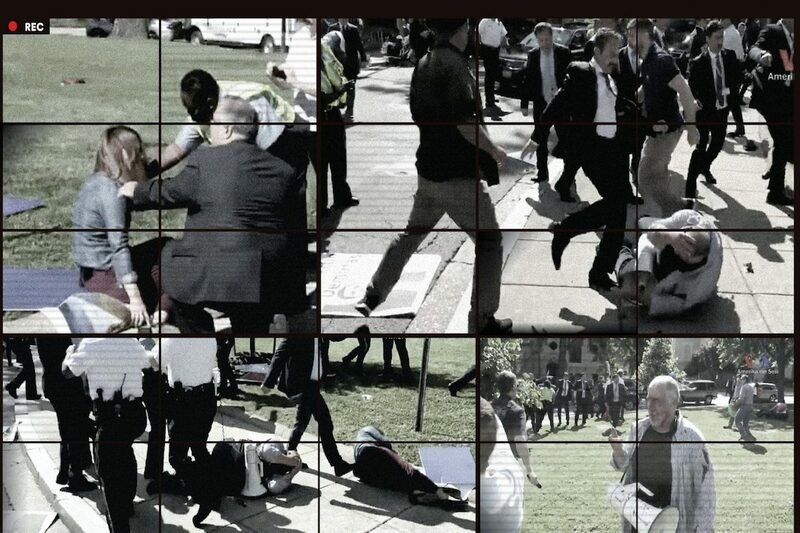 The Turkish president has thumbed his nose at the indictments, saying they were “clearly a scandalous sign of how justice works in America.” Rather than condemning the attack or expressing sympathy for the victims, Turkey sent its Minister of Foreign Affairs for a photo-op with the two convicted attackers and expressed to them “the love and regards” of the Turkish nation in a post on Twitter. Now, one year later, most of the officers charged have had their criminal cases voluntarily dismissed by the U.S. government, including two accused of kicking a defenseless female protester in the head until she lost consciousness, sustaining a traumatic brain injury. Cases against the four remaining Turkish security officers are still pending, but Turkey has refused to extradite them, including one who was captured on video grabbing a female protester from behind, placing her in a chokehold, and throwing her to the ground. In an effort to bring justice to the victims, our law firm along with another have jointly filed a lawsuit against the Republic of Turkey seeking damages to compensate the victims and to punish the perpetrators. We are proud to represent these brave individuals who endured a brutal attack and had the resiliency to fight back, not with violence, but by using another quintessential American institution, the judicial system. While we understand the challenge of prosecuting a case against a country as powerful as our erstwhile ally Turkey, we are inspired by our convictions and by the resolve of our clients, and we believe in guarding our country’s core democratic values of freedom and liberty. We are committed to the pursuit of justice and we call on all Americans to join us in demanding that our government do its part as well. On This Day June 3, 1941: What Happened to Cretan Villagers Who Resisted Invading Nazis?